Since 20 October, 15 patients have been admitted to hospital in Rugombo Health Center in western Cibitoke province due to cholera disease. Up to this 25 October, only nine patients are still receiving treatment while six others recovered and went back home. All of them are residents of Miduha sector of Rukana II hill in Rugombo commune of Cibitoke Province. According to hospital nurses, three people would have died before reaching the hospital. The local administration is investigating into the cases. Residents of the locality report that the main cause of such disease is due to the lack of drinking water. “We draw water from Rusizi River as we live at 50 m from the river”, says Kwizera Jeanine, a nurse in the health center. She says residents must cover a 7 km distance for having drinking water. “It is not always easy to walk such a distance to get drinking water while we live near a river”, she says. 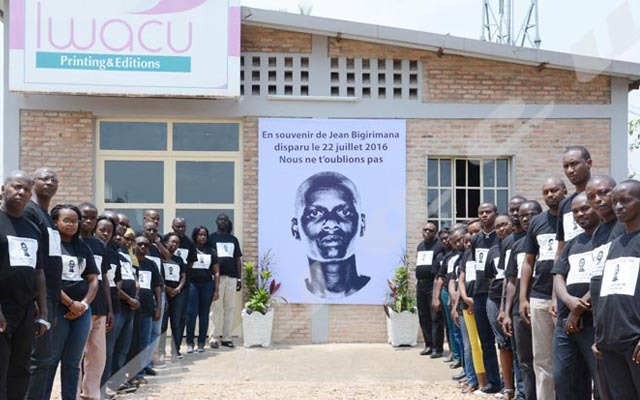 Célestin Ndayahoze, a district doctor in the western region confirms the cases following the the results of Bujumbura Laboratory. “Appropriate hygienic measures must be taken and spraying homes and areas with disinfectant need to be done immediately”, he says. Habumuremyi Firmin, an advisor in charge of social affairs in Rugombo Commune says the local administration is going to work hand in hand with the health district to sensitize people to the importance of boiling water and spraying the locality with disinfectant. “Those people do not have access to clean water and do not build appropriate toilets because they have come to live in the locality while they were searching for agricultural lands”, he says. He also says other localities of the same commune are being affected. One patient is now identified on Mparambo I hill and two others were registered on Samwe hill of Rugombo Commune. He believes that through such sensitization campaigns, the number of people suffering from such disease will reduce significantly. Last month, some cases were also observed in Cibitoke Province chief town where eight cases of cholera disease were identified in Rusiga sector of Murambi hill of Rugombo commune in the western province.